My 1870's hand quilted petticoat over my new 1860's machine quilted comforter petticoat. 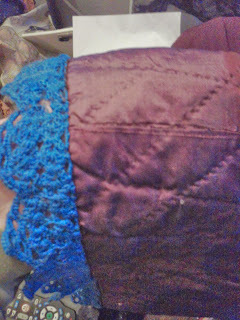 Close up of the blue crochet lace trim at the bottom hem. 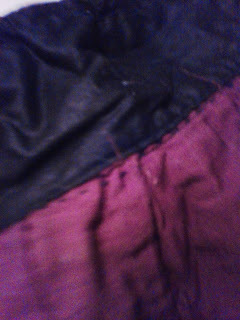 Close up of the join between the cotton twill and the quilted silk. Close up of the join between the cotton twill and the polished cotton waistband. 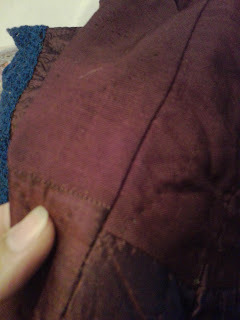 Inside the petticoat at the waistband. Showing off the drawstring - you can see the bow right above my index finger. 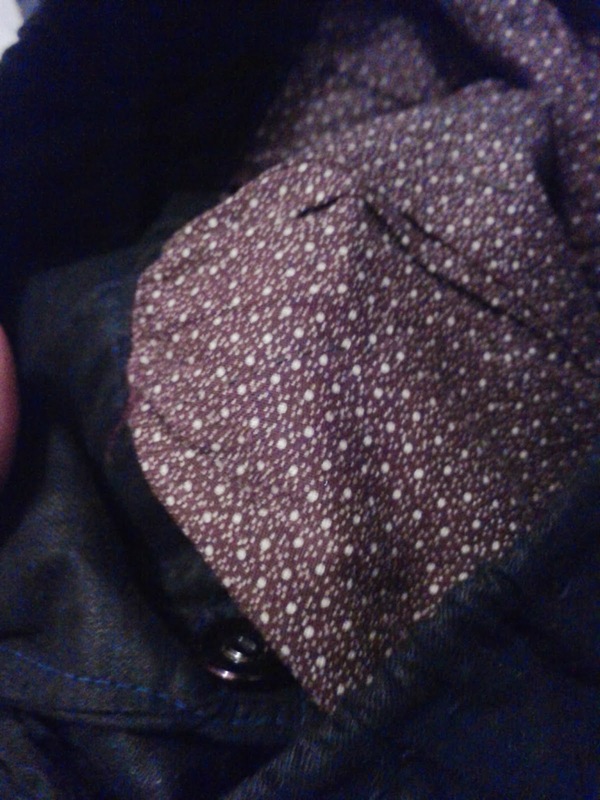 Inside the hem. You can see the calico bound with wool twill tape at the hem. 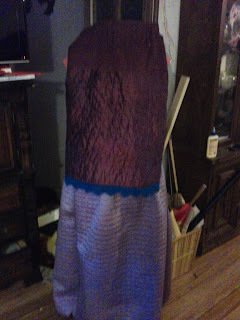 I swore up and down I posted this but it appears I never did. 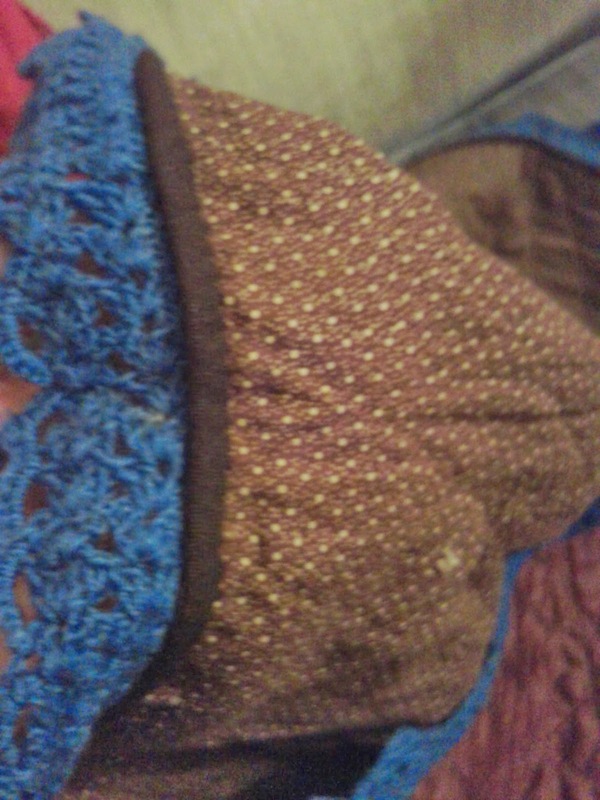 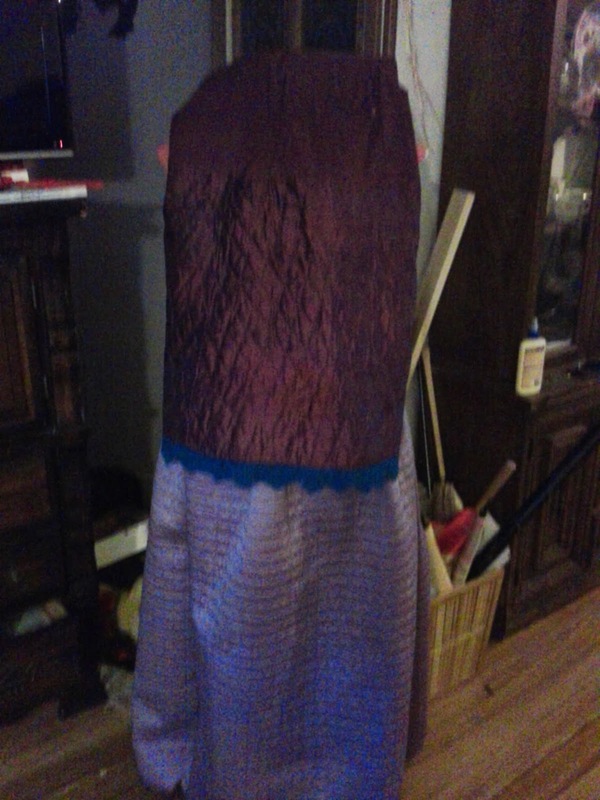 This is one of the examples of a drawstring quilted petticoat from about the late 1870's. Although it's mostly handsewn, there is a lot of machine sewing in the cotton twill area. 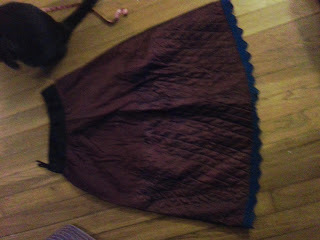 The calico fully lines the petticoat to the waistband. 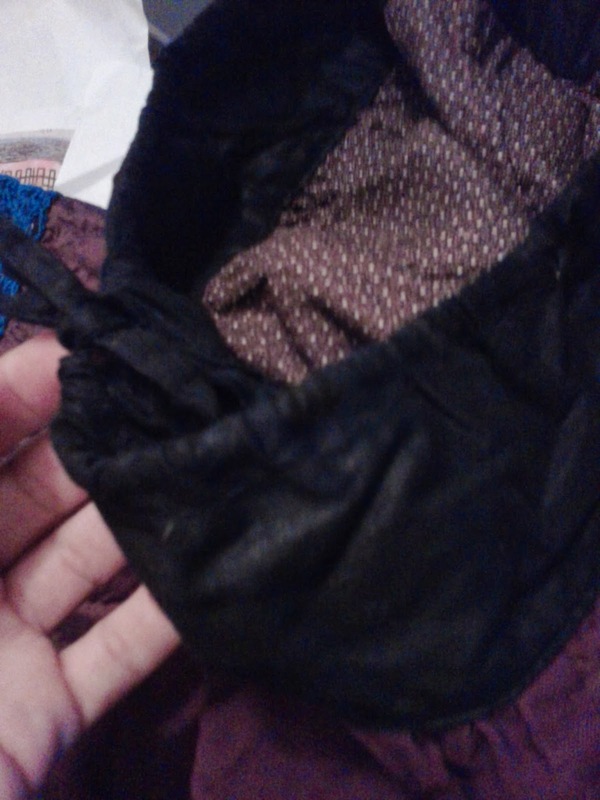 The waistband itself is a drawstring.